Yep, I'm a petite woman, but we have love for ladies in all sizes and shapes. Today we are sharing the to 8 shopping sites for the plus sized ladies. Special thanks to Tonisha over at B.M.M.O. Consulting for her contributions to the list! This Chicago gem not only has great styles for the ladies with full curves, but also does styling for fashionistas of all sizes. Thanks to our girl Alysse Dalessandro of Ready to Stare for this one. They have stores in brick and mortar malls, but a great selection online. Fair-priced fashion for every curvy girl's fashionista needs--what more could be said?! Kiyonna has all the body shapers you need to master the look you want. All great looks need their basics! You can make them your stop for any occasion. All the sizes you need in all the fashions. Clothing for all sizes that give you that stand-out look. They're also reasonably priced. Here, you an get your pick of any denim you could dream of at a great price. They have deals every week. It's truly one stop. They have items for women and men, big and tall. 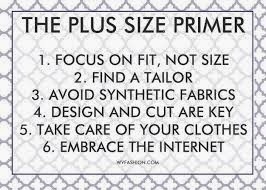 High end plus-sized clothing for mostly special occasions, but a few wear-to-work items, too. We hope these are helpful...especially with the holidays approaching!